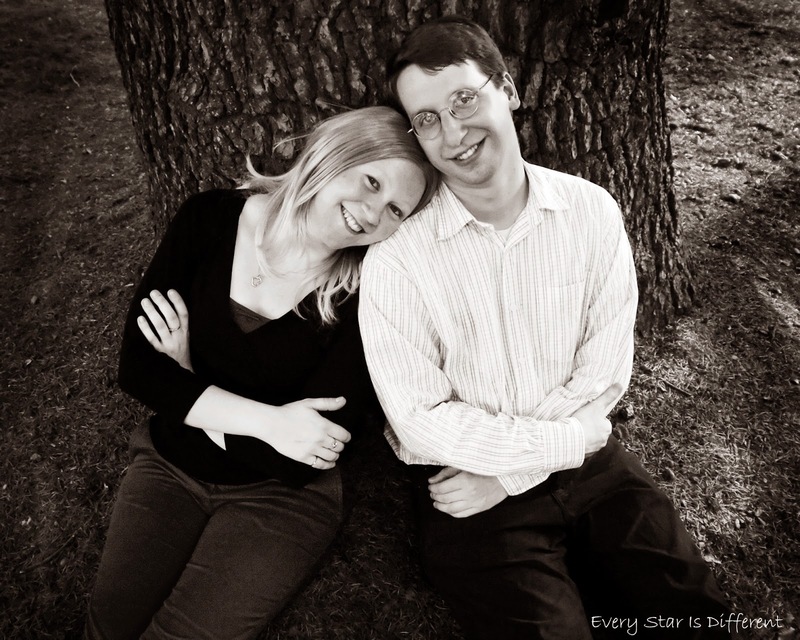 Though my three older kiddos can pick up anything and read it for hours, my husband and I have noticed some pretty big gaps in their language skills, especially those related to spelling. 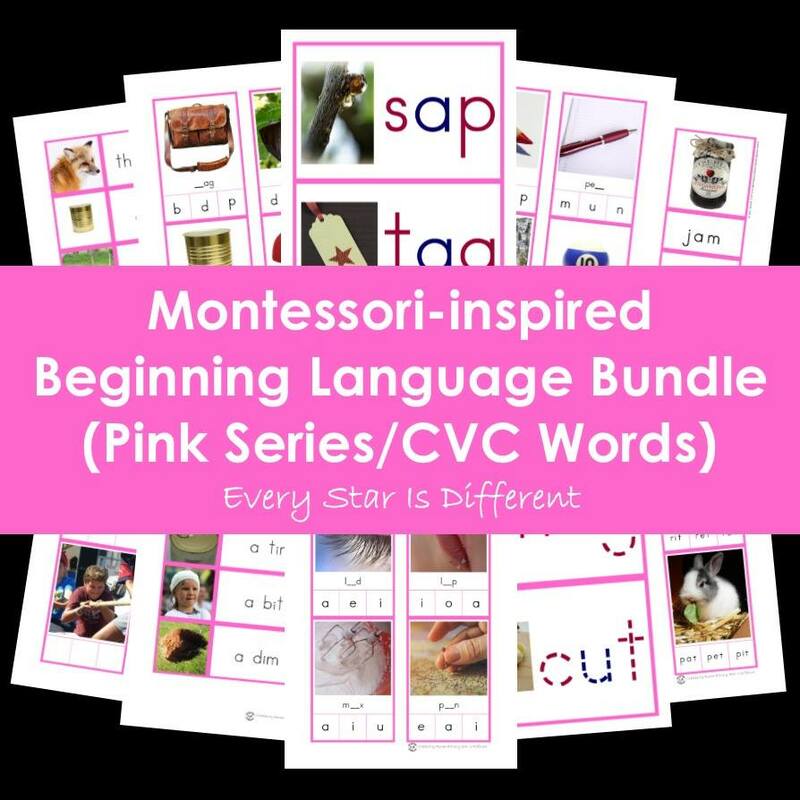 Sunshine is almost finished with the Montessori-inspired Beginning Language Bundle and is begging for more as she desperately wants to read and write. It seemed quite obvious I needed to create the Montessori-inspired Intermediate Language Bundle. Already the kiddos are enjoying the work I've been able to print out for use on our shelves. By the time they're finished with the 296 page bundle, I'm 100% positive they'll have mastered the blue series materials aka consonant blends. 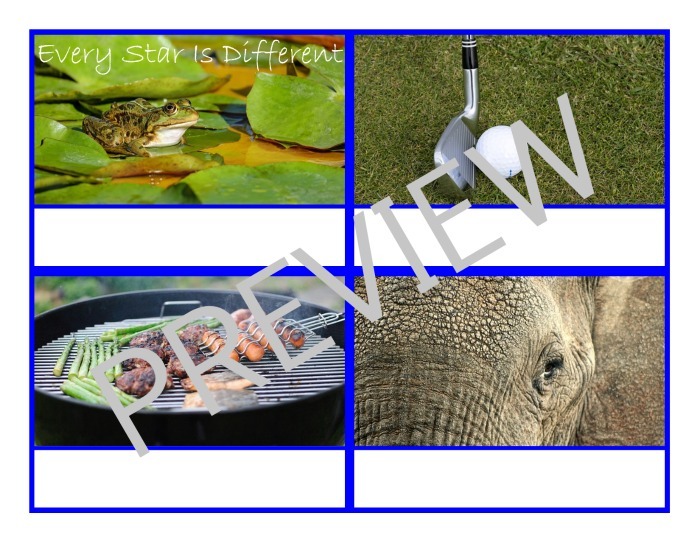 Now I had full intentions of showing you photographs of all of these printables in use, however my printer had different plans. Two weeks ago my printer died. I ordered a new one which works great but only came with small samples of toner. When I ordered the printer I was told I could find the toner at Walmart. It turns out, our local Walmart does not carry the toner, nor does the Office Depot that I drove an hour one way to over the weekend. Apparently because I use a professional grade printer/fax/scanner/copier the toner I need is only available online. Grrr. 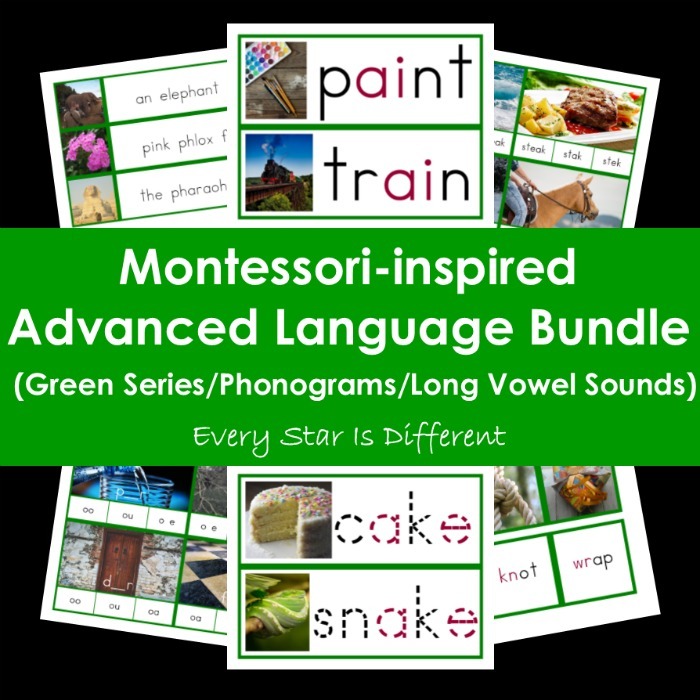 In an effort not to go back on my word about giving you a preview of this bundle I'm sharing one page of each section of the Montessori-inspired Intermediate Language Bundle with a brief explanation of how it can be used. I hope you enjoy! These cards were originally designed to work with the Kid Advance Small Movable Alphabet. The letters in the movable alphabet fit almost perfectly over the letters on the cards. For Sunshine who struggles so much with fine motor skills, writing and reading, the use of the movable alphabet has been transforming. She absolutely loves to spell without frustration. The words on the cards make a perfect control. When it comes to teaching my older kiddos I don't need to print these cards out quite as large. Printing four pages to one page provides us with perfect control cards to use for any intermediate language activity. 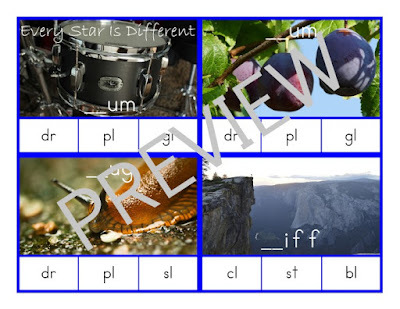 Now in case you're not aware, you receive 100 word control cards, about 20 for each short vowel sound. 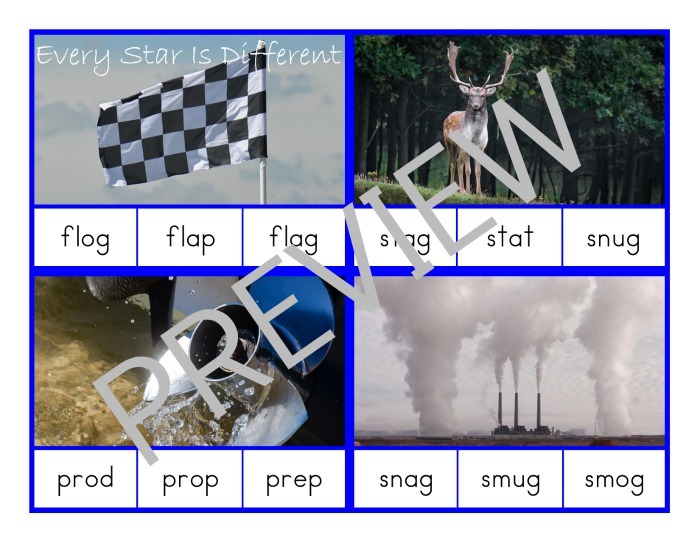 Control cards can be used for sorting beginning and ending consonant blends, rhyming words, vowel sounds and so much more! Once again these cards were designed for Sunshine who struggles with fine motor skills, particularly writing. Providing her with large words to trace eliminates the frustration she usually has when attempting to trace small, fine lines in other tracing activities I've seen. 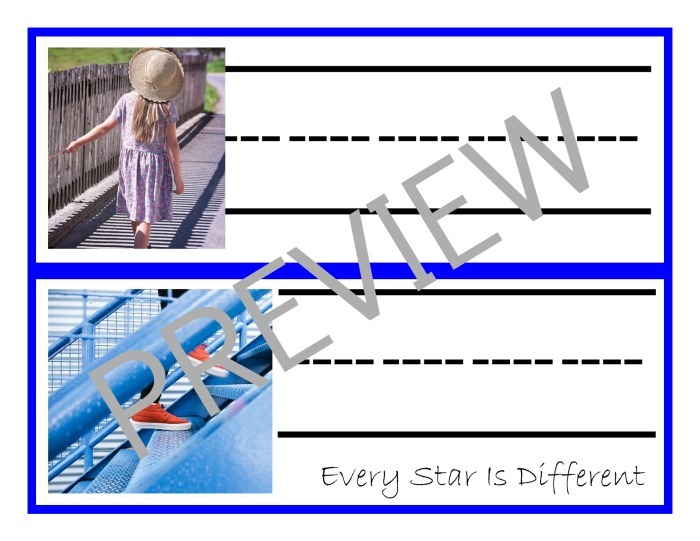 If you child doesn't struggle so much with fine motor and pre-writing tasks, but is beginning their writing journey these cards look great and are fabulous to use printed four pages to one page. They just require a more refined tracing skill. Sunshine is beginning to show an interest in writing on her own using lines, but struggles to know how the letters fit exactly. These cards are created using the same font and sizes as the control and tracing cards, which means letters from our Kid Advance Small Movable Alphabet fit perfectly on the lines. As Sunshine spells each word using the movable alphabet, placing the letters in the correct spaces on the lines she's learning exactly where each letter goes without the frustration of writing. Once she's ready to write, these cards provide her with plenty of space to create large letters. 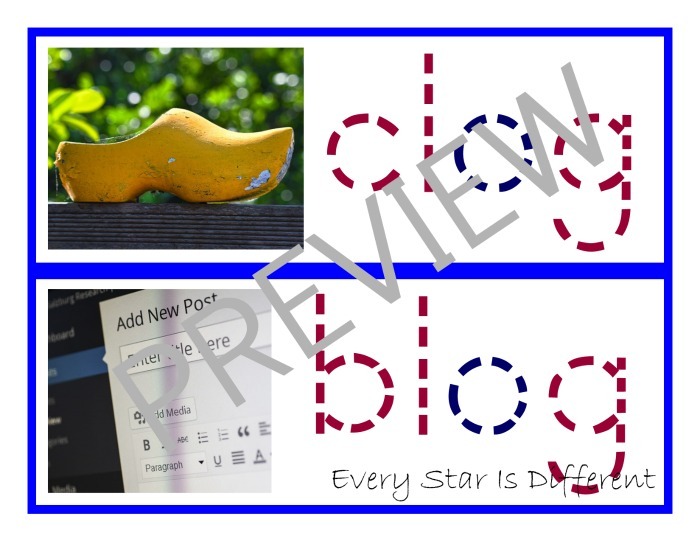 And finally for my older kiddos I print out four pages to one. They are able to write the words in the small spaces provided. 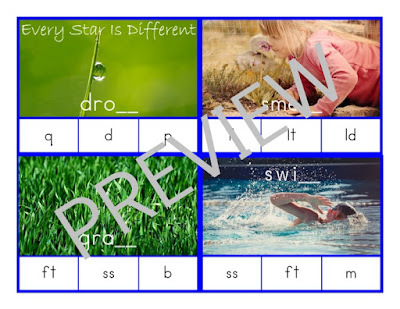 These clip cards use all of the same words and pictures provided on the control, tracing, and lined cards. This is one more activity to reinforce learning each word separately. The pictures are a great control as the kiddos have seen them before. If necessary control cards can be added to the activity to ensure success. 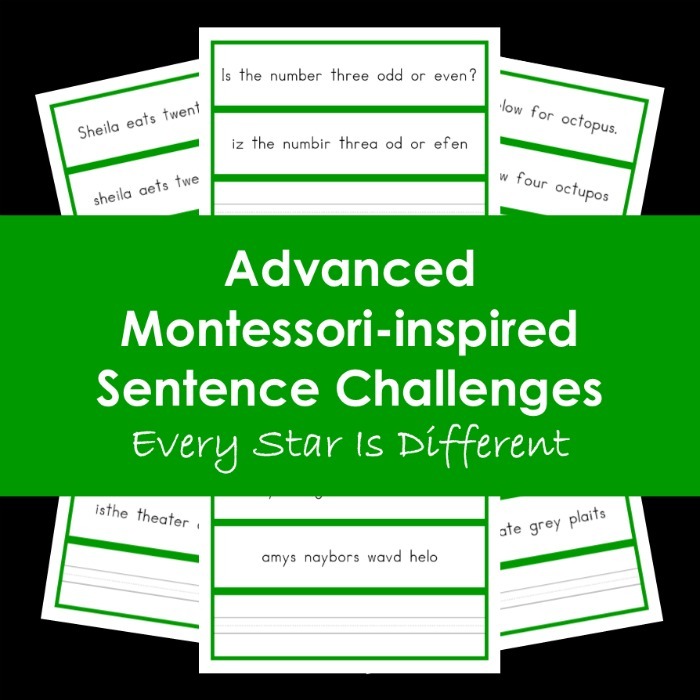 The kiddos can use glass beads, clothespins, or a writing utensil to mark their answers. It just depends on which you prefer. There are 100 clip cards to reinforce all words introduced in the previous activities. If you're looking to preserve ink, these cards still look great printed two pages to one page. If you're looking to focus on only one vowel sound, print out only twenty out of the 100 words. 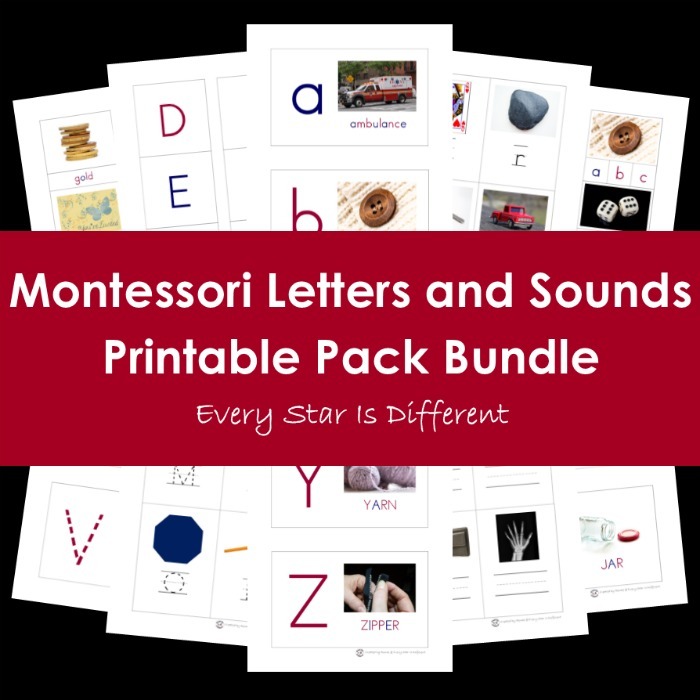 As with all activities in this bundle, there are clip cards for all 100 words that emphasize the first letter or blend. 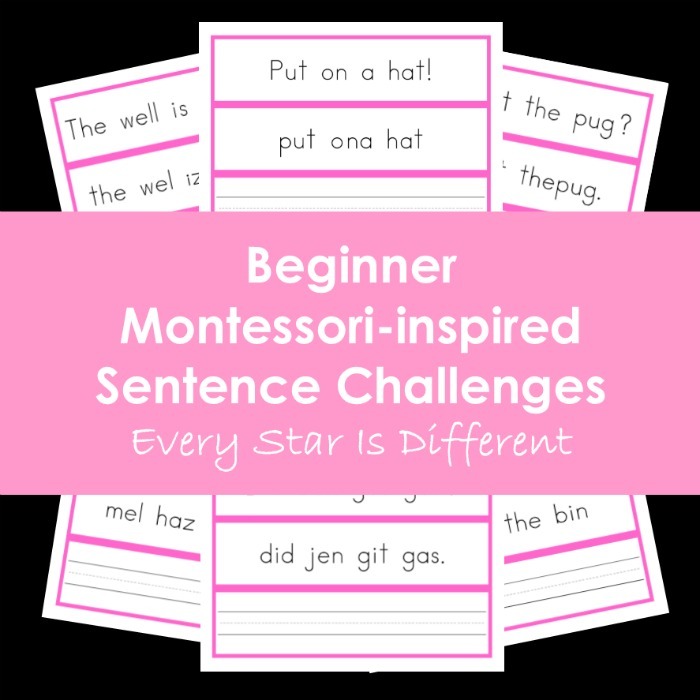 This activity further isolates the necessary skills for writing, reading and spelling. The kiddos can mark their answers using any number of manipulatives including stamps, beads, clothespins, stickers and more. If you're looking to preserve ink, these cards still look great printed two pages to one page. 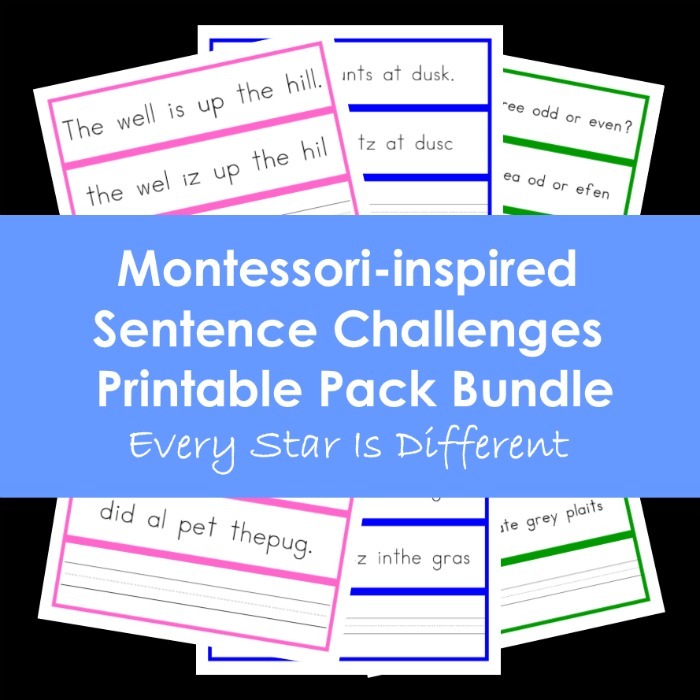 This activity focuses on the ending letter sounds and blends of the 100 words presented in this bundle. 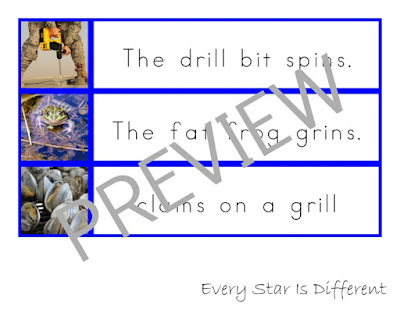 You can use these cards the same way you use the two activities explained above. Once again, if you're looking to preserve ink, these cards still look great printed two pages to one page. 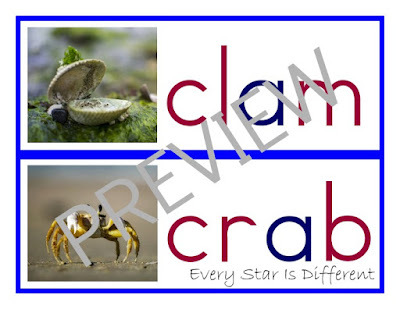 These cards are designed for kiddos who are able to write appropriately given a smaller space. 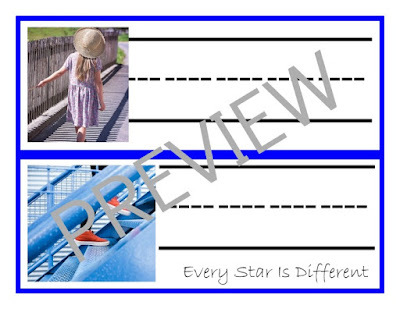 Your child's writing abilities will help you decide whether to print out these cards or the lined cards. If you have an advanced writer and you're trying to save on ink, these cards look great and are still usable printed two pages to one page. 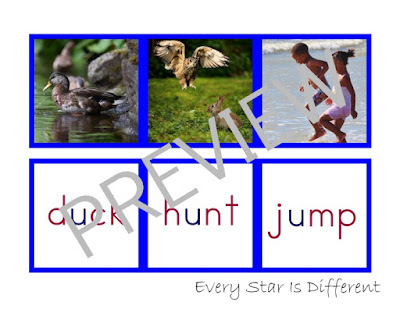 These cards are perfect to use as your child progresses to feeling confident spelling words without a control. Whether you present the picture cards and have the child write the words on a sheet of paper, or you use the movable alphabet, they work fabulously well. Bulldozer loves to use these cards to play a game of memory once he's learned which words represent which pictures. 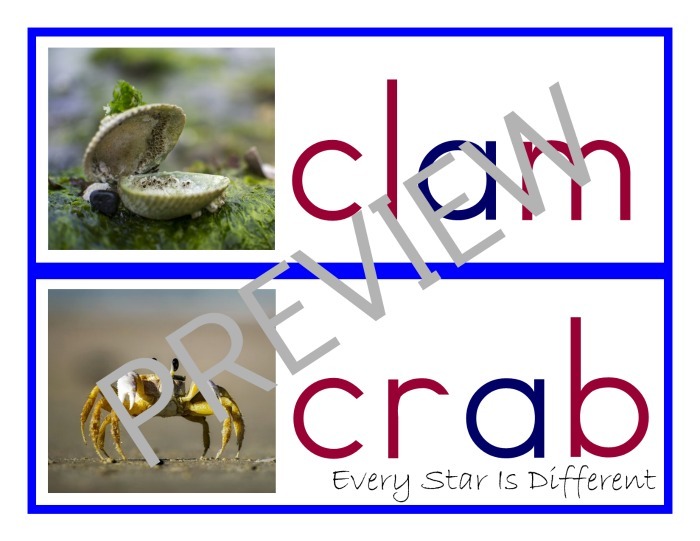 You'll note as you go through the cards that not only are they great for spelling, reading, and writing, but they are designed to enhance a child's vocabulary. Included in the Montessori-inspired Intermediate Language Bundle are thirty sentence/phrase and picture match ups. 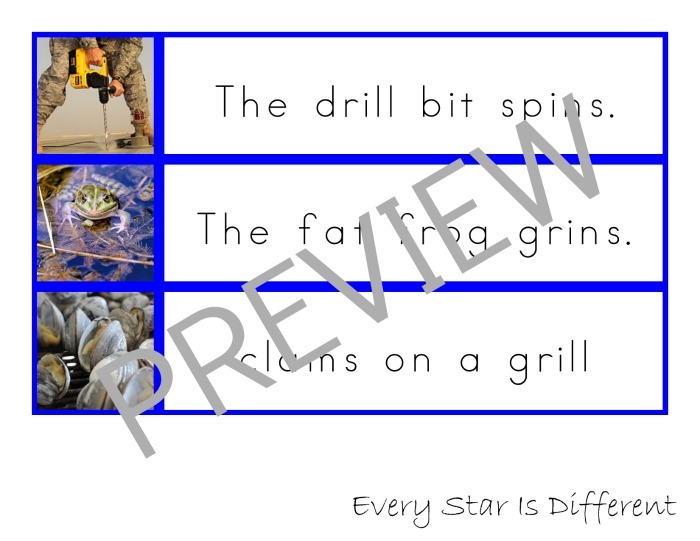 These match ups are perfect for the child who's already worked through the sentence/phrase and picture match ups in the Montessori-inspired Beginning Language Bundle. 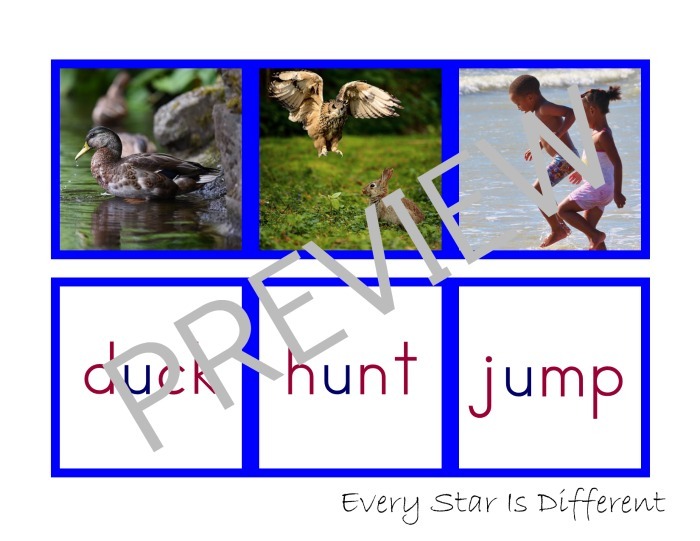 My kiddos are so entertained by the phrases and sentences, matching them up to the beautiful pictures provided. 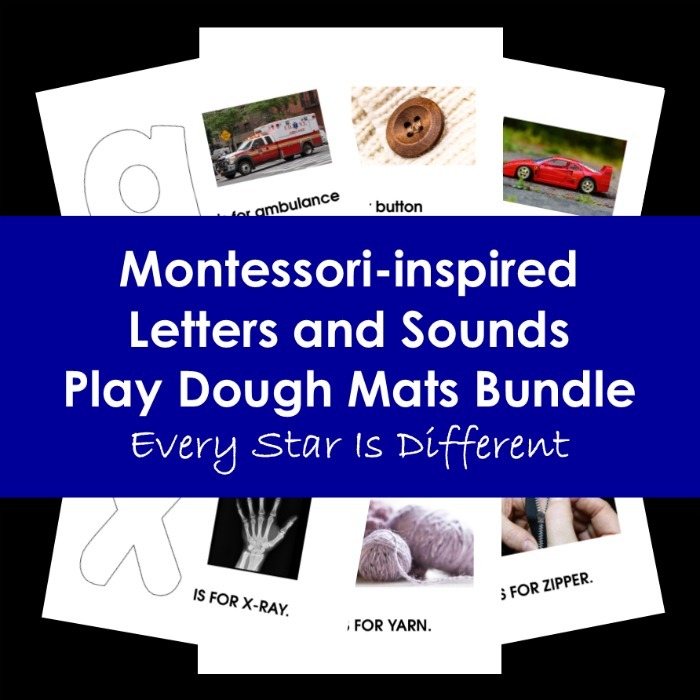 There is so much included in the Montessori-inspired Intermediate Language Bundle. 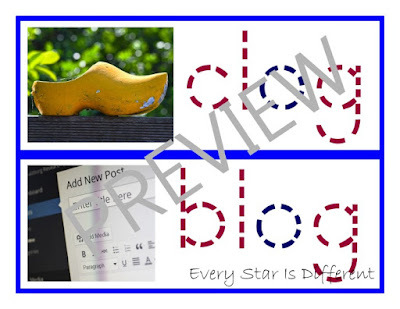 Printables are unique and so versatile depending on the needs of your child. 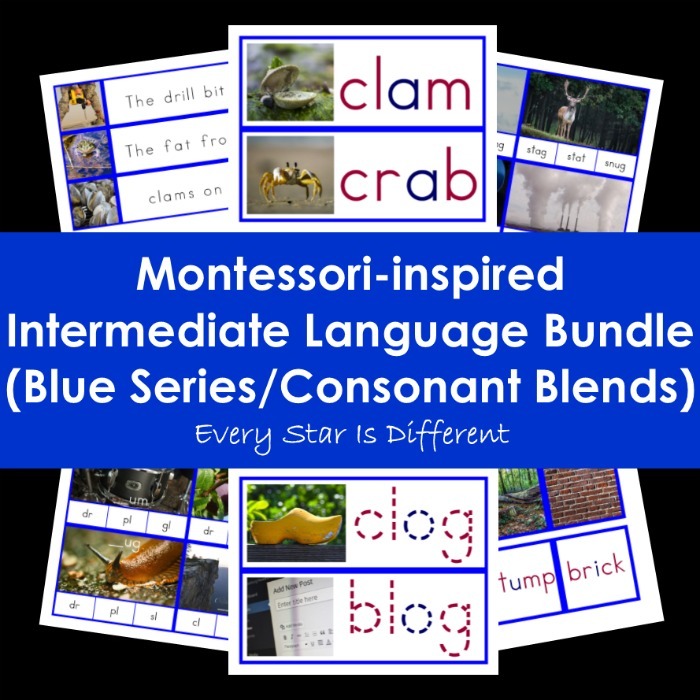 Click HERE to grab your own copy of the Montessori-inspired Intermediate Language Bundle today! 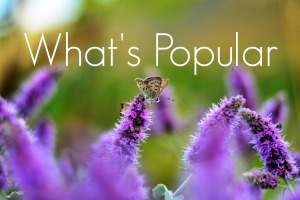 If you enjoyed this post and resource, you may also enjoy the ones below.